This could be a really important series for the Blue Jays in that if they drop this one or are swept, it could spell the end for John Gibbons. The Blue Jays have to take advantage of the next 7 games against weaker opponents. Next weekend, the Washington Nationals are in town, followed by the Atlanta Braves. Then the Blue Jays embark on a tough road trip where they will face Ohtani and the Angels followed by the uber tough Astros pitching staff. Here is today's game recap. Jaime Garcia rebounded nicely after a rough outing his last start. He pitched 6 solid innings, allowing just one run on a sac fly. He struck out Chris Davis, always a potential threat, three times. Unfortunately, the Blue Jays gave him only one run to work with. John Axford and Tyler Clippard allowed 3 HR between them.The Blue Jays used 5 relievers tonight. Hopefully JA Happ is on his game tomorrow. What a terrific comeback by the Blue Jays tonight. Down by three runs, the Blue Jays scored three runs on three hits and a pair of walks off temporary closer Brad Brach. Zach Britton remains out with the Achilles injury he sustained in the off-season. The Blue Jays have struggled for so long offensively that this offensive output should do wonders for their confidence. 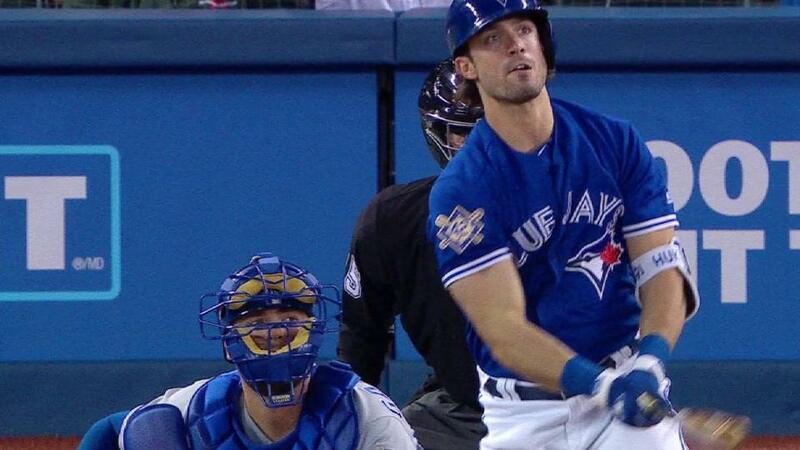 It's great to see Randal Grichuk and Kendrys Morales both starting to hit well. Morales is now batting .203 after tonight's 2-5 effort at the plate. Grichuk has a chance to surpass .150 tomorrow after collecting 3 hits in 4 AB tonight. All the hard work in the batting cage is starting to pay off for the struggling hitters.